MAN STAYING PAST CHECKOUT GETS ARRESTED FOR METH :: RickeyStokesNews.com! DeFuniak Springs Police were called to the motel when the patron of a room failed to vacate after his stay. The manager reported to Officers that noises could be heard inside the room, but the occupant refused to come to the door. Entry was made and Daniel Dwayne Nolan was found making gurgling sounds, but was unresponsive. Walton Fire Rescue was contacted and responded to evaluate Nolan. Officers discovered a baggy near Nolan that contained a white powdery substance. Field testing and an admission by Nolan confirmed that the substance was methamphetamine. Once cleared by EMS, Nolan was arrested. While being transported, marijuana was also discovered to be hidden in a soap container. 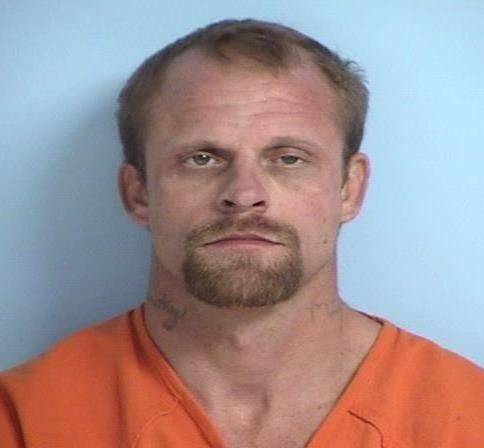 Nolan was booked into the Walton County Jail on drug charges. “This is an example of just how bad methamphetamine is. Thankfully the suspect was found and given medical treatment before a tragedy occurred,” said Chief Mark Weeks. As of this release, Nolan was being held on a $5,000 bond.